Marvel upon this spell-bindingly awesome piece of fan art in commemoration of the 25th anniversary of the release of the original Legend of Zelda. The level of fan art just kept moving upward, what with the recent fan-made CG works of Mass Effect 3, and now this. Created in commemoration of the 25th anniversary of the release of the original Legend of Zelda, Japanese artist ag+ has created one of the best fan arts around with this truly stellar piece of painting. We absolutely agreed with Luke Plunkett from Kotaku in his statement, "if Nintendo had a chapel and (bear with me) that chapel had an ornately-painted ceiling, this would surely be that painting". Weighing at a hefty 7.2 MB with a 1200x6566 resolution, this amazing piece of work can be found at the artist's site, which unfortunately requires registration. For those who have problems with the registration process in Japanese, Gawker, the parent company behind Gizmodo, iO9, Lifehacker, and Kotaku, among others, has gracefully hosted the image (albeit a slightly less weighty version) for download. 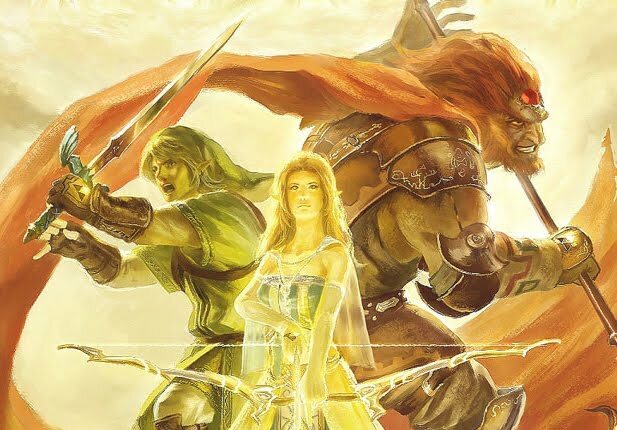 For those overwhelmed by the image, which must have been a showcase for every significant characters in the Zelda mythos, Mitz, a user at Kotaku, has thankfully posted a comment at the page, naming all the characters featured in the painting. Hit the jump to check out the masterpiece, followed by the "who's who" list posted by Mitz. And here's the amazing making-of video featurette.